When should I post on my Facebook Page? It’s an important question to ask. It shows an awareness for how Facebook works and what is needed to succeed. The answer is simple: you should post when your fans are online and when they can see it and react to your content. But figuring this out can be a hassle. You need to know your fans very well, so you can find out when they will read your posts. It’s not as difficult as it first seems – Facebook is ready to help with that. 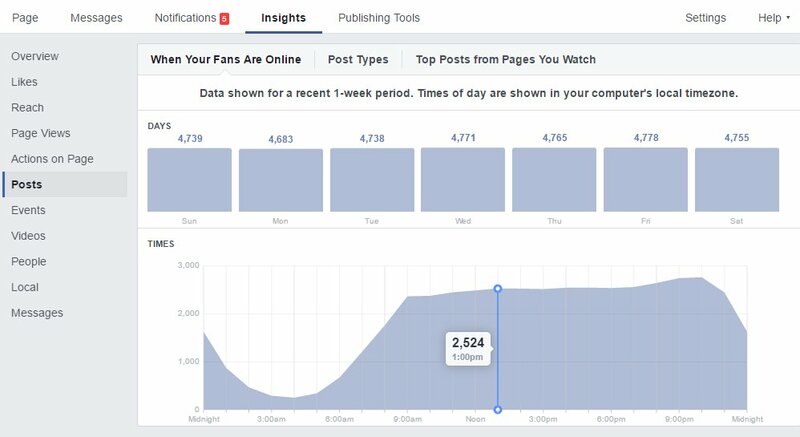 You can check Facebook Insights, where you can find a wide range of information about your page, the reach of your posts, and about your fans. If you want to know when your fans are online and when they react to your content – you have to click on ‘Insights,’ and then go to ‘Posts.’ Here you will find your daily activity with statistics about all your online fans per hour. Here the graph displays the average, so you can see a general understanding of your fan activity. However, this data isn’t always reliable. Just because users were online doesn’t mean that they will see your content and engage with it. 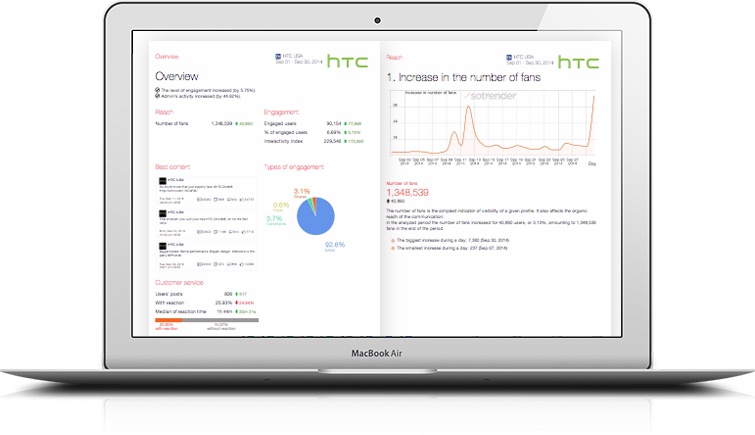 If you want to find more reliable data about your fans, you need to use a social media analytics tool, like Sotrender. Tools like this feature data and charts with the activity of engaged fans, perfect for finding the best time to post. In Sotrender, you can filter between hourly and daily activity of engaged fans (engaged fans are the ones who have performed at least one activity beyond liking profile during monitored period). So you will reach more people by posting when your fans are more likely to see it.